Photo by Doug Loyer The procession of students into the Dyson Baudo Recreation Center. 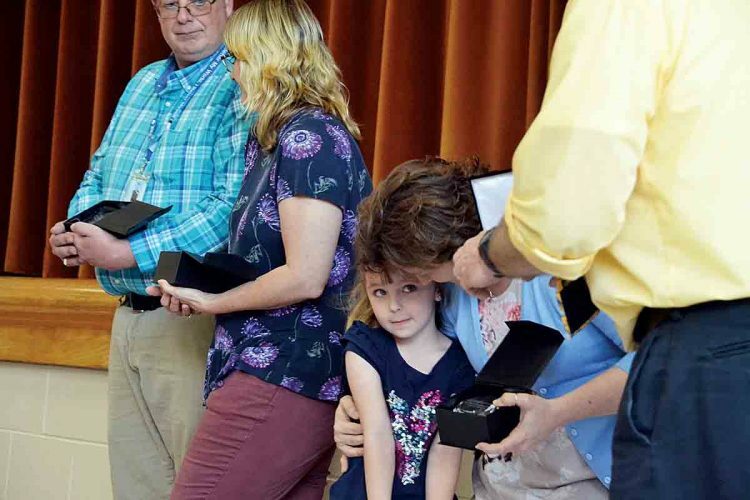 Photo by Doug Loyer Evan Hensel, of Strasburg, Ohio was this year’s Marietta College Valedictorian. Photo by Doug Loyer Students enter for the Commencement Ceremonies in the Dyson Baudo Recreation Center on Sunday. Photo by Doug Loyer Balfour Nkrumah-Ababio gives his Jewett Orations winning “Our Kente Experiences” speech. 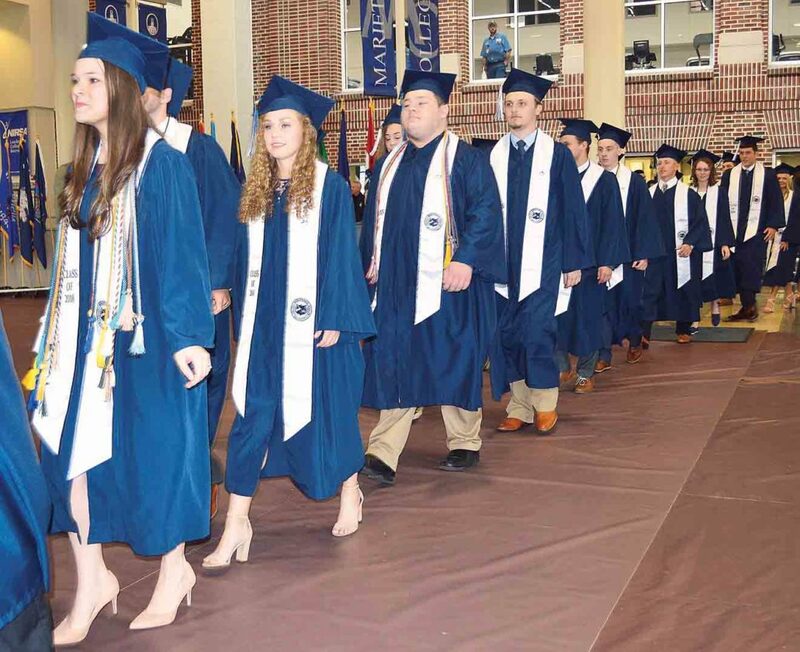 MARIETTA — The 181st Commencement Ceremonies for Marietta College were held Sunday in the Dyson Baudo Recreation Center. 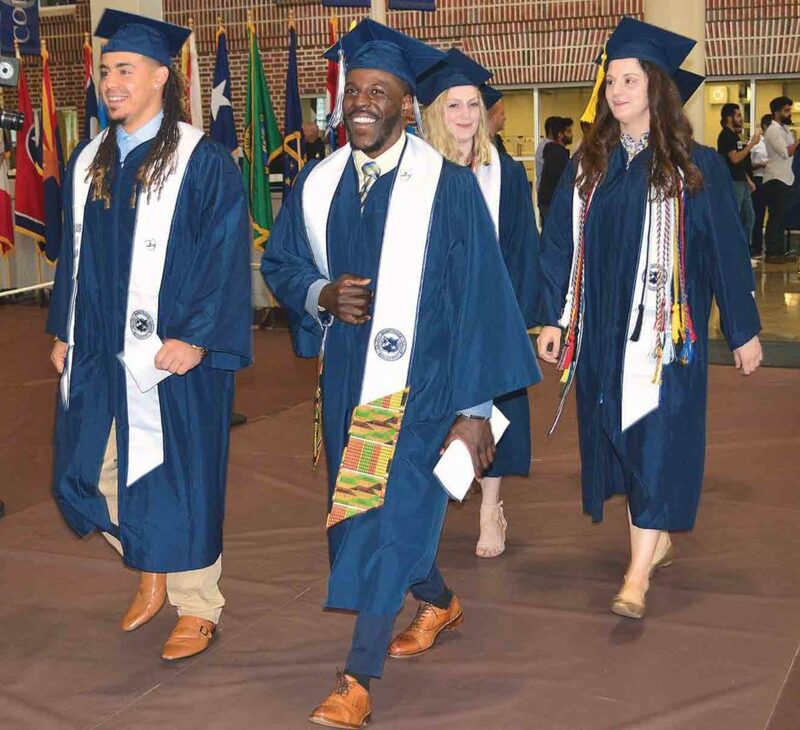 The “Long Blue Line” continued to get longer as 257 undergraduates received their diplomas along with five graduate students. This was the first year that the graduates wore blue gowns, before they always wore black. They also wore stoles that they could decorate with Greek letters, pins or customize as they wished. 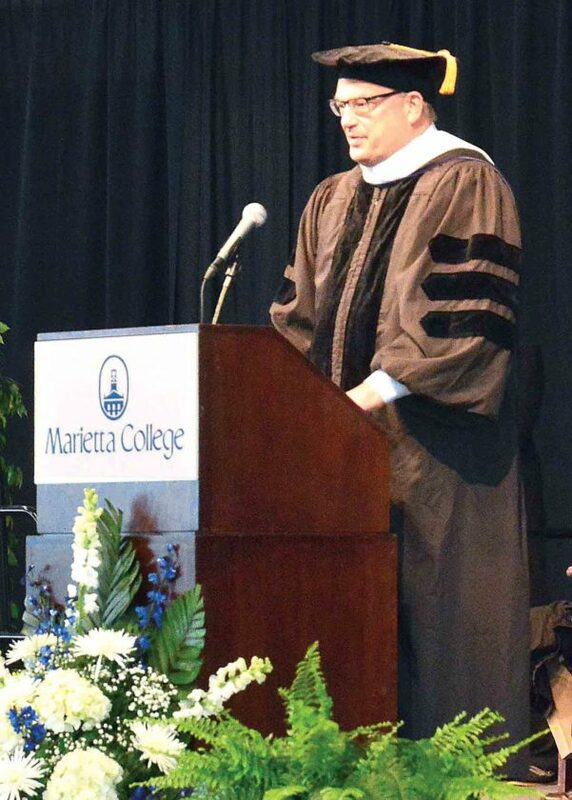 This years Commencement Speaker was Donald G. Ritter, a 1981 graduate of MC. He is the founder and CEO of Endurance Resources. He and his wife, Leslie Straub Ritter, also an MC graduate, each received honorary Doctor in Humane Letters during the ceremony. Evan Hensel, of Strasburg, Ohio, was this year’s Valedictorian. Hensel received a degree in Petroleum Engineering and a certificate in leadership Sunday. 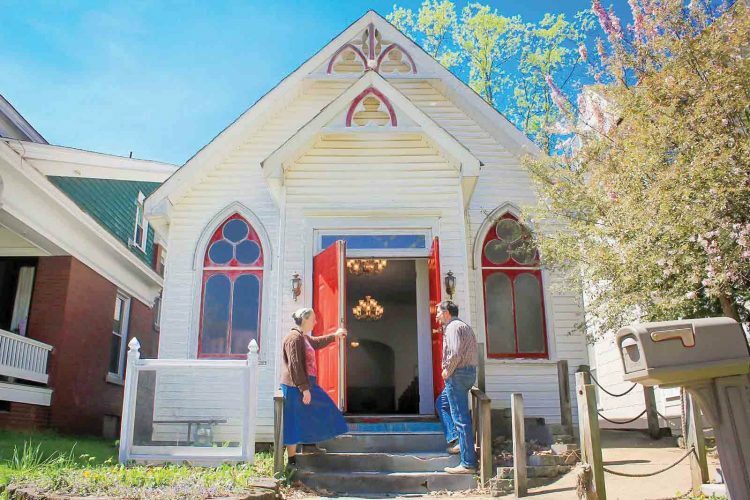 Hensel will be heading to Houston, Texas, for a couple of weeks of training and then on to New Orleans. He will be working off shore. Nkrumah-Ababio said he will be working for MC for a year and then plans to go to grad school after that. Welch said she is trying to figure out what to do next and that’s what her speech was about. She plans to follow her instincts. She said MC has given her a great education and she feels prepared for her next step. 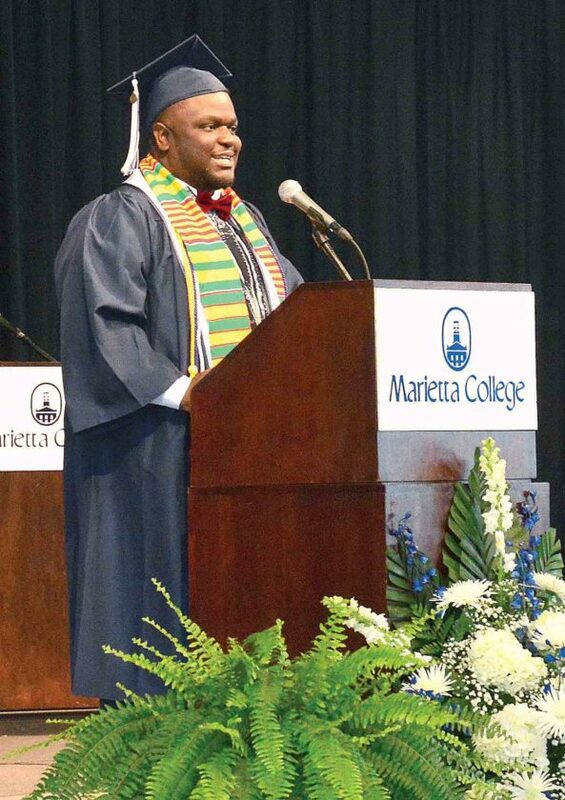 Mitchell Houston, of Youngstown, Ohio, who received a degree in Petroleum Engineering and Math shared that he plans to work in Marietta. Houston said the time has gone by really fast, but was very enjoyable. 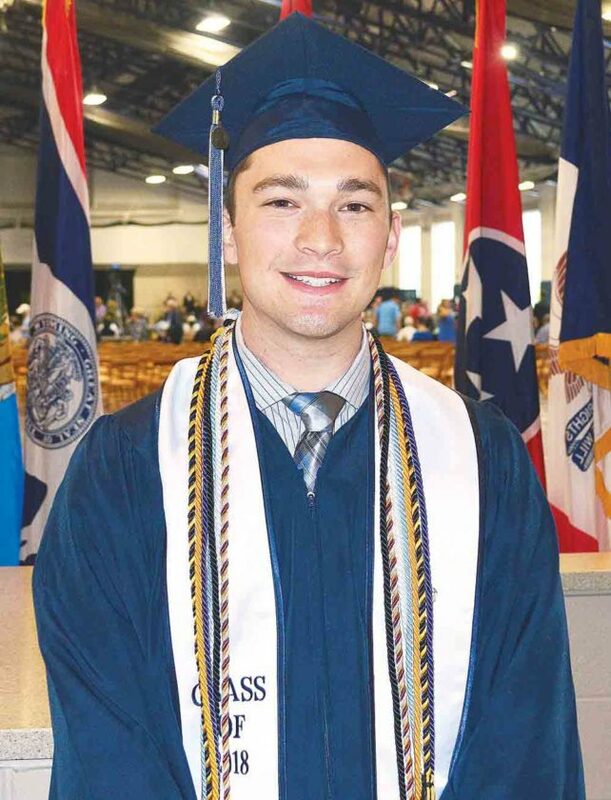 “It feels really good to graduate today because it’s culminating the experiences over the past few years into one event,” said Eric Wilken, of Cincinnati, who majored in Math.